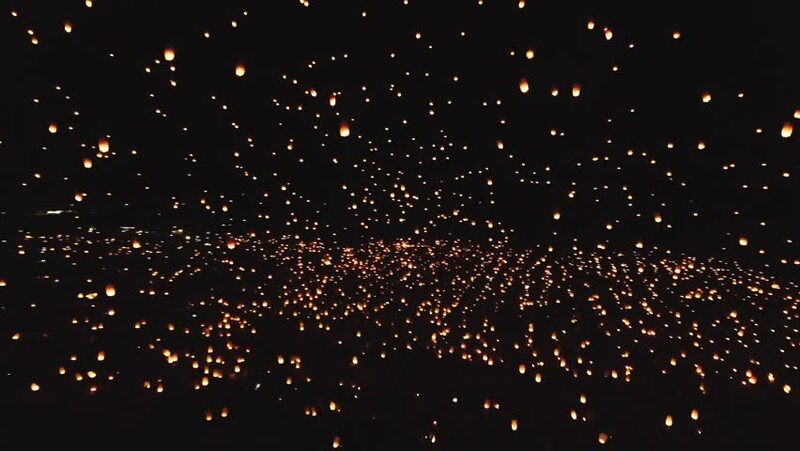 Drone shot of thousands of glowing lanterns flying across screen. Beautiful floating lanterns light the night sky as thousands of people gather to let their wishes fly. hd00:07Thousands of sky lanterns are released into the night sky to wish for good luck as part of a lantern festival.